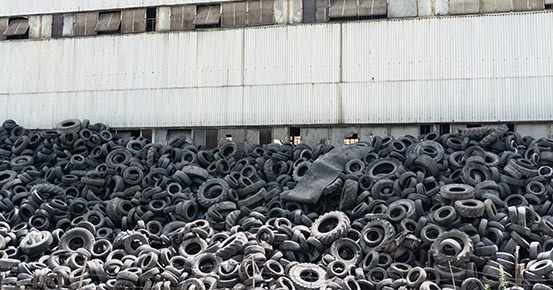 Like death and taxes, waste is currently an inevitability of life that we all should consider. Whether it is the plastic bags we shop with, the leftover casserole that no-one seems to want to eat, our morning takeaway coffee cup, the can of soft drink taken to the beach, the old washing machine destined for landfill or the full bins on Tuesday night, it all ends up somewhere. Unfortunately somewhere is not over the rainbow, it’s in the earth’s backyard. The world generates in excess of 1.3 billion tons of waste per year, with the expectation that it will soar to four billion tons by 2100. Significantly, the plastic that has been produced since the 1950s has weighed the equivalent of one billion elephants. Most of that is now in landfill. That’s a fair herd of plastic elephants! Why do we pay so little attention to where our waste goes after it leaves our hand? And it’s true. When I list the priorities of my daily life, how I toss out my coffee cup is pretty close to the bottom of my list, alongside stopping myself from having a second chocolate biscuit and heading to the gym in the evening. You buy a coffee and you toss it in the recycling, right? Job done. Well, no. The plastic takeaway coffee cups that most cafes use are made of materials that cannot be recycled. Most disposable cups are lined with polyethylene, which makes them non recyclable. 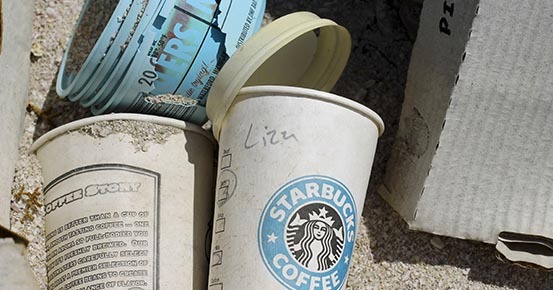 Some 50,000 takeaway coffee cups are thrown out every 30 seconds, all going straight to landfill. In Melbourne alone! That coffee cup spends minutes in your hand, and takes up to 100 years to break down in landfill. Considering the alternatives, purchasing a Keep Cup (or one of a number of other alternative bio-friendly multi-use cups currently on the market) would allow you to hold all your takeaway coffees in one container that lasts about three years and is able to be recycled once you purchase a new one. On average, Australians drink 9 coffees a week. If five of those were in takeaway cups every week for an entire year, you’d be throwing out 260 non-reusable cups. By purchasing a Keep Cup, you’d therefore save 260 cups from ending up in landfill or the ocean every year. 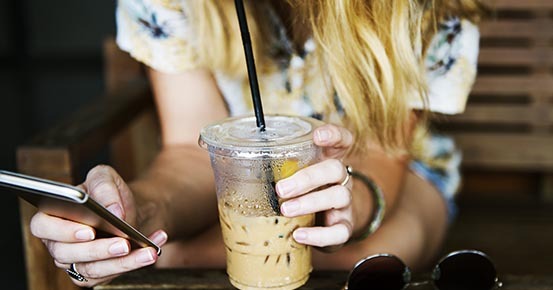 If 500,000 Melburnians committed to this change, some 130 million cups would be saved from landfill … not only that, you’d be saving money every time you visit a café linked with Responsible Cafes with your reusable cup! Sustainability is about considering the health and welfare of our planet and its inhabitants on a social, economic and environmental scale. It is about reducing our footprint so as to ensure the growth and prosperity of our planet for a long time to come; for our grandchildren. Carbon neutrality is a step that some Australian and international businesses are taking to sustain our planet. For a company to be considered carbon neutral, it needs to take active steps to balance the amount of carbon dioxide it releases into the atmosphere through its activities by purchasing carbon offsets in accredited emission reductions schemes, such as new wind farms, rainforest restoration projects and supporting for clean water projects in Africa. The value of carbon neutrality can only come with buy-in from a vast array of businesses, just like reusable coffee cups, it needs everyone to get on board. It benefits the health of the planet, encourages corporate social responsibility, allows companies to save money while providing incredibly positive social and environmental outcomes and creates a cycle to lower global emissions and hopefully reduces the impact of climate change. It’s also good for business. Future Recycling (FR) is committed to being a carbon neutral business. FR is also committed to being part of the need to consider sustainability and renewability as a global initiative. 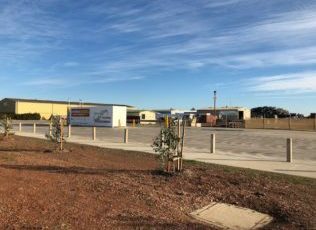 FMG is looking to be a small part of the solution to a growing problem in Victoria, in Australia and all across the globe. Like a growing number of Australian businesses, the intention of FR is to follow a sustainable model of business that focuses on the viability of our greatest resource, our natural environment. Our commitment to offsetting our carbon emissions has seen us help install wind farms in rural villages of China, empower and protect rainforest communities in Papua New Guinea and generate clean energy in South Africa. It might seem like a small step, but like reducing waste, with community buy-in, these small steps will eventually turn into powerful strides. And how exciting it is to be part of a global initiative. But our commitment to a sustainable planet is more than just calculating our carbon footprint. We say “recycling saves the planet” and it really can. 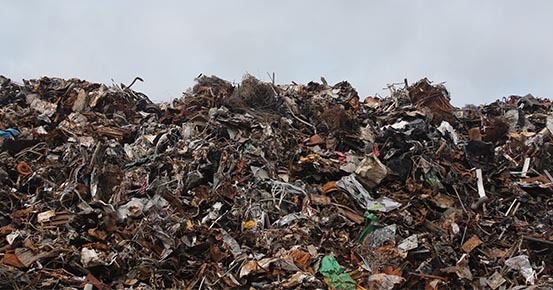 Metal recycling is a part of the solution to save the planet. Metals can be used over and over again. Saving money on the cost of new metals, saving energy and reducing emissions, which is good for communities, our economy and our world. Just like the measures we take at FMG, small steps can be taken within communities dotted across Australia. Small steps an individual can take that may help influence those around us to make a change. 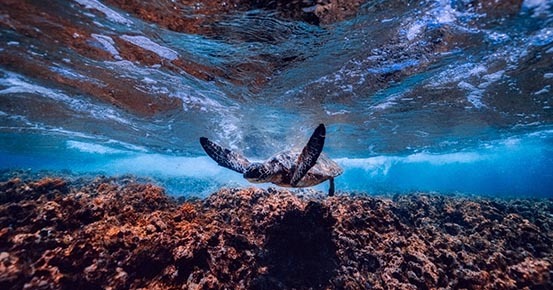 We don’t all have the time to be vocal activists but we can open up the lines of communication to ensure Australia’s environmental future includes clear water, clear air and a clear conscience. This blog is an education tool to help Victoria better come to terms with how we can help the environment we live in, so we’d like you to let your friends know; discuss it with them. Over the following weeks we will take a look into the issues that you might be curious to learn about. What is a circular economy? How can we cut down waste? We’ll be chatting to leaders in environmental sustainability and taking a closer look at the process of recycling. We’ll assess the challenge of attempting to live a zero waste existence; creative ways to decorate your bin hire and how Melbourne cafes are getting creative with food waste – banana peel cake is a lot tastier than it sounds! I’ll leave you with this fact. 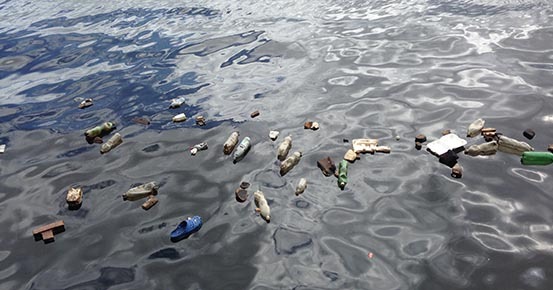 It is expected that there will be more plastic in the ocean than fish by 2050. 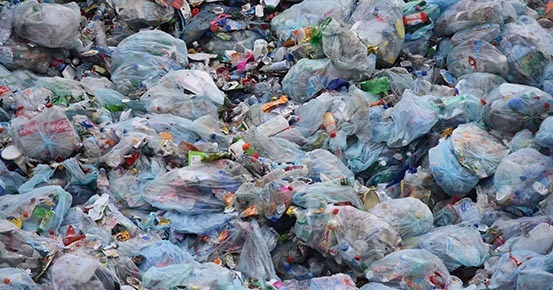 A study by the Ellen MacArthur Foundation found that 95% of plastic packaging, worth $174 billion, is lost to the economy each year after a single use. Do you have any question that we haven’t answered about Future Recycling Metals or scrap metals? Fill out our contact form below and we’ll get back to you, usually within one business day.